FREE Dairy Queen Ice Cream On March 20! There is nothing better than FREE ice cream! If you agree, be sure to visit your local Dairy Queen on Monday, March 20 to get your FREE soft serve ice cream cone! No purchase or coupons are necessary to get your freebie. However, it is recommended that you give a donation to the Children’s Miracle Network Hospitals through Dairy Queen while you are there getting your delicious FREE ice cream cone. Remember to mark your calendar for Monday, March 2o because this offer is only valid that day! Reminder: Find out How You Can Get a FREE Carvel Ice Cream Cone Today! The other week we ran this post to let you know that you can get a FREE ice cream cone at Carvel. 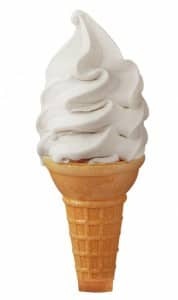 We wanted to remind you today is the day to get your FREE Carvel ice cream cone between 3:00 PM and 8:00 PM. You do not need to purchase anything to get your delicious freebie! 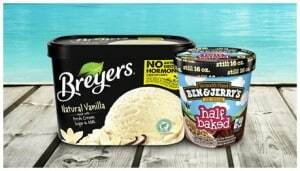 Ben and Jerrys FREE Ice Cream Cone Day On April 12! Ice cream lovers! 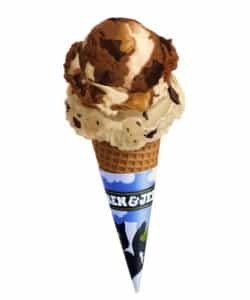 If you visit your local participating Ben and Jerrys ice cream shop on April 12 between 12:00 PM and 8:00 PM, you can get a FREE ice cream cone! No purchase is necessary to get your absolutely delicious freebie! Don’t forget to RSVP via Facebook so they know approximately how much ice cream they need! Unilever is offering a FREE ice cream product to the first 1,000 people who request this freebie! According to the website, you have to register on July 17th at 9:00 A.M. PT / 12:00 P.M. ET. If you are one of the first 1,000 people, you will be awarded Unilever coupons to get your FREE ice cream. I hope you are one of the people to get a FREE Unilever ice cream product! Any U.S. resident is eligible except for residents who live in Florida or New York. Head over to your participating Haagan Dazs ice cream shop to score a free ice cream! No Haagan Dazs coupon or purchase is necessary! This free ice cream promotional is valid only on May 12th from 4 pm to 8 pm. Find your local Haagan Dazs and get your ice cream for FREE! Do you love Marble Slab Creamery? Then check out this awesome technique to score free ice cream at a Marble Slab Creamery. If you join the Slab Happy Rewards program, you will receive a coupon for a free cone just for signing up. You earn points for each dollar you spend at Marble Slab. For every 50 points you receive, Marble Slab gives you a $5 off reward. You also get free ice cream on your birthday. What’s not to love there? There are two ways to sign up: either on the website or by downloading the iTunes/Google Play app.